Kim Corriher, Gaffney Corriher and Jason Corriher (left-to-right) stand on the field of Dreamstyle Stadium after Marshall’s 31-28 defeat of Colorado State in the Gildan New Mexico Bowl. 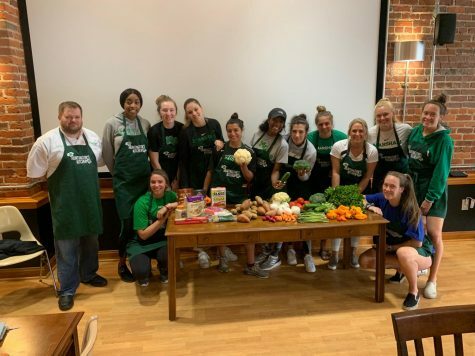 Marshall Athletics is a family. 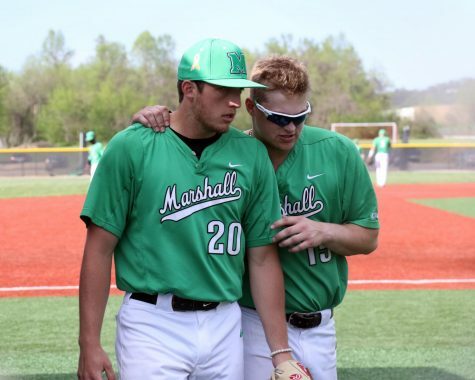 Ever since the 1970 plane crash that took the lives of 75, Marshall Athletics has been a family that pulls together through the ups and downs of life. 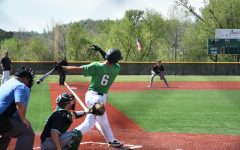 Most people, when they hear Marshall Athletics, think of stadium filled seats on a fall Saturday afternoon or the sound of the pep band playing before a basketball game. What people do not think about are the families of the hardworking people who make all of the athletic events run smoothly. Jason Corriher is the assistant athletic director for media relations for Marshall Athletics. He can be found at most sporting events updating statistics, introducing coaches at a press conference or working late in his office preparing for upcoming events. Kim Corriher, Jason’s wife, works from home handling government projects and grant funded programs for a group of hospitals in Southeast Ohio. Along with that job, she is also a part of the Marshall University faculty, where she works at the H.E.L.P. Center as a learning specialist and academic tutor. She also teaches a UNI Class. There was a time in Jason and Kim’s life when they had decided, because of the demand of their professions, that they were not going to have kids. 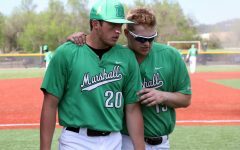 After coming to Marshall, they reevaluated that decision and changed how they had felt in the past. A month and a half after Gaffney was born, he attended his first Thundering Herd football game. However, his presence in the box gives off a different atmosphere now. Gaffney is in the press box or around the court most game days, but instead of crying like he did as a newborn, he can be found telling jokes. Gaffney’s first joke was told to previous football player Kaare Vedvik in a hotel lobby at the New Mexico Bowl in 2017. “From there it just started rolling,” Kim Corriher said. 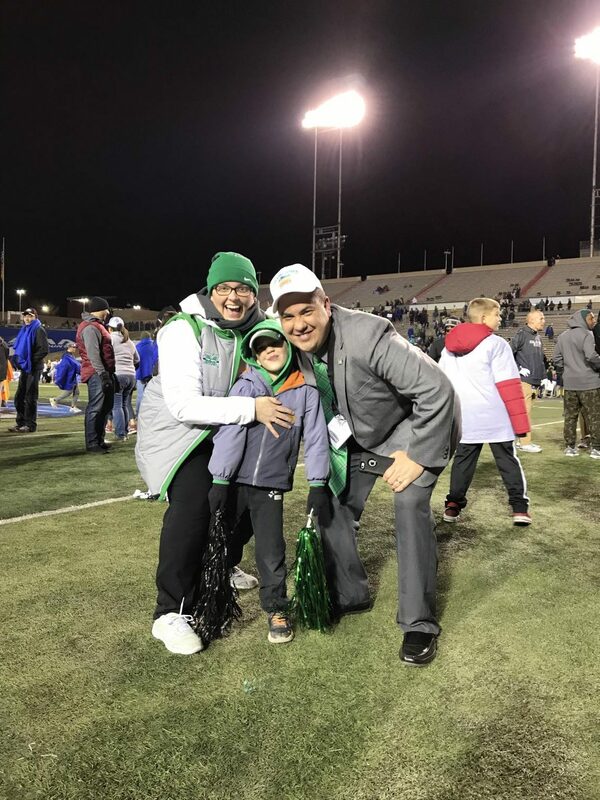 On the way back from the bowl game, Gaffney and J.C. Price, Marshall football’s defensive line coach, went back-and-forth with what most people call ‘bad dad jokes,’ and the jokes did not stop when they landed back in Huntington. Gaffney is known as the “joke kid” to many people throughout the Marshall community. The jokes are something that Gaffney and Kim do together. You can often find her walking behind him as he walks through the gym telling people jokes. Kim also uses her social media as a platform to give birthday shout outs with Gaff jokes to people involved in Marshall Athletics. 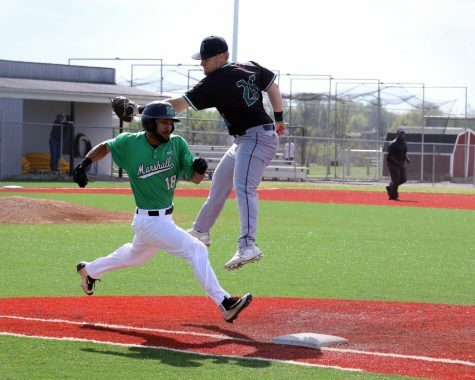 In the past few weeks, they have even reached out to a member of the FAU football team that was injured while playing in the football game here in Huntington against Marshall. While Gaff’s favorite sport is football, he is stuck between wanting to be a NASCAR driver or a professional football player when he grows up. Some of his favorite athletes include Chase Hancock, Jon Elmore and Shayna Gore. He looks to maybe attend Marshall University one day, and he credits that to the sole reason that he made Doc Holliday laugh one time. 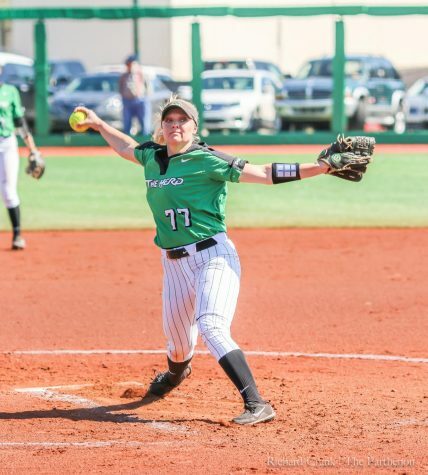 The Corrihers both credit Marshall University, Marshall Athletics, Mike Hamrick and Jeff O’Malley to allow them to bring Gaffney to athletic events. Jason and Kim said they are thankful for the experiences that Gaffney is gaining by growing up around college athletes. 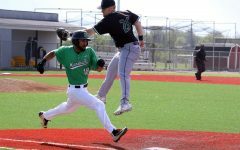 As Gaffney grows up, they said they hope he continues to take advantage of the opportunities around the Marshall community. 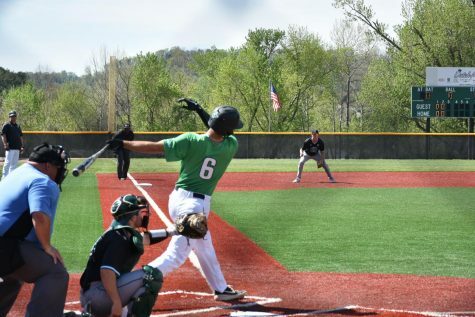 Playing sports at the college level might not be where Gaff ends up but the Corriher family has hopes that he will at least get to experience what it is like to be a part of a team at Marshall. From Athens, Ohio, where Jason previously worked, to Marshall University in Huntington, West Virginia, Jason credits the entire region to be a part of their home now. So very glad to see young families be involved to carry on the MU traditions.